There are games that show up on your schedule that there is almost no way to diagram a winning situation for your team. 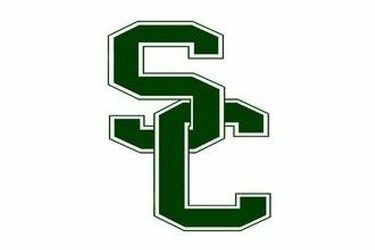 Saturday afternoon in Dodge City was one of those for the Seward County Saints as they took on Lamar Community College’s Junior Varsity team. The Saints were never tested in the contest, opening up a 20 point halftime lead before blasting the Lopes in the second half to come away with a 113-44 victory to improve to 6-0 on the season. So far this season, the Saints have been a slow starting team, but against Lamar’s JV on Saturday, that was not the case. Seward bolted out to a big early lead on the Lopes and never looked back. It was a 25-15 Saints lead midway through the first half and Seward was able to extend that advantage to 52-32 at the halftime break. The Saints shot 56% in the half, the same mark that they ended Friday’s win over Labette with. Lamar shot just 36% in the half, but did hit five three pointers and got to the free throw line 13 times in the period. Unsatisfied with a 20 point lead at the half, the Saints came out like gangbusters in the second half. Seward blew the game wide open as action began and it was never remotely close again. The Saints went on to outscore Lamar 61-12 in the second half to end up coming away with a 113-44 victory at the final horn. The Saints couldn’t miss in the second half while Lamar couldn’t buy a bucket. Seward scorched the nets for 64% shooting in the final 20 minutes while the Lopes managed just three total field goals and just one inside the three point line, shooting a measly 10% in the half. The battle for rebounds inside was no battle at all as the Saints outrebounded the Lopes 60-18 on the night, their largest positive margin on the glass in school history. A number of Saints got involved offensively in the blowout as seven different players scored in double figures while nine players scored eight or more points. Marcus Mathieu led Seward with 16 points in the game while James Byrd and Charles Beauregard each had 14. After breaking out with 16 points Friday against Labette, Delano Jones came up big again for the Saints, finishing with an 11 point, 10 rebound double-double in the victory. Seward improves to 6-0 on the year with the win. The Saints road will get just a little bit tougher over the next two weeks as they hit the road to take on #4 South Plains Wednesday in Levelland, Texas before returning home to take part in the Billy’s/Days Inn Classic in the Greenhouse Friday and Saturday where they will take on Midland and Frank Phillips over the weekend.